Popular quotes become quotable because they transcend time and circumstance, and always resonate with certainty. This is particularly true of quotes on love and relationships. People who find themselves in love but at a loss for words on how to express their feelings can always find a quotable quote or two from a famous person to do it for them. If you are one such person (or are curious about how being in love feels), Brilliance rounded up some of the sweetest quotes to help you define what you’re going through. Ever feel like wanting to go somewhere with your loved one where no-one can bother you? 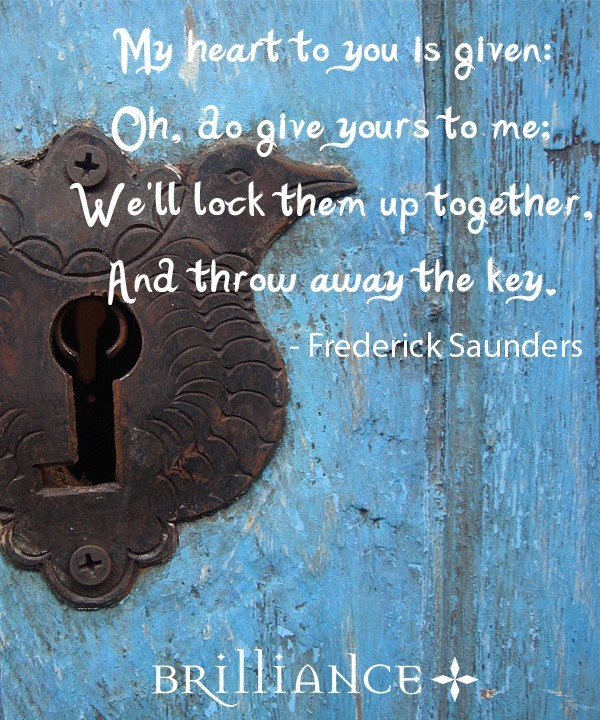 Well, essayist Frederick Saunders did, and he also employed some metaphorical hardware to contain that feeling. 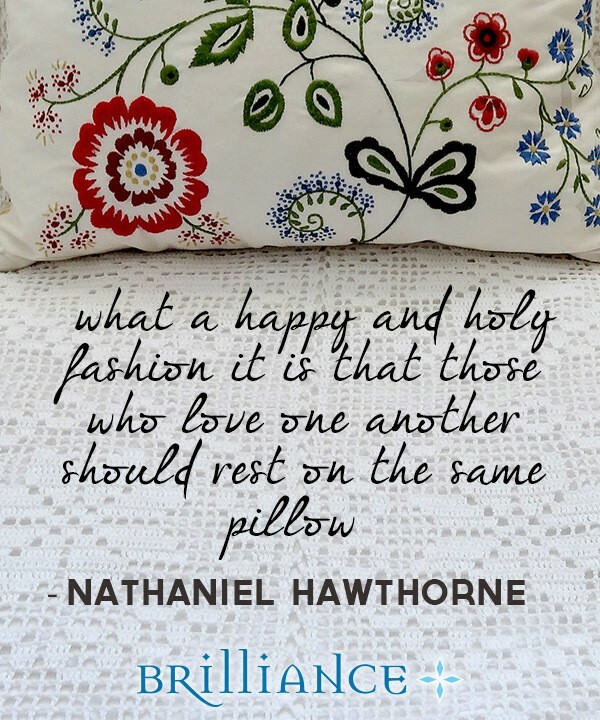 Novelist Nathaniel Hawthorne, on the other hand, spoke about the soft domestic comforts involved in being truly in love with the person you’re married or are living with. 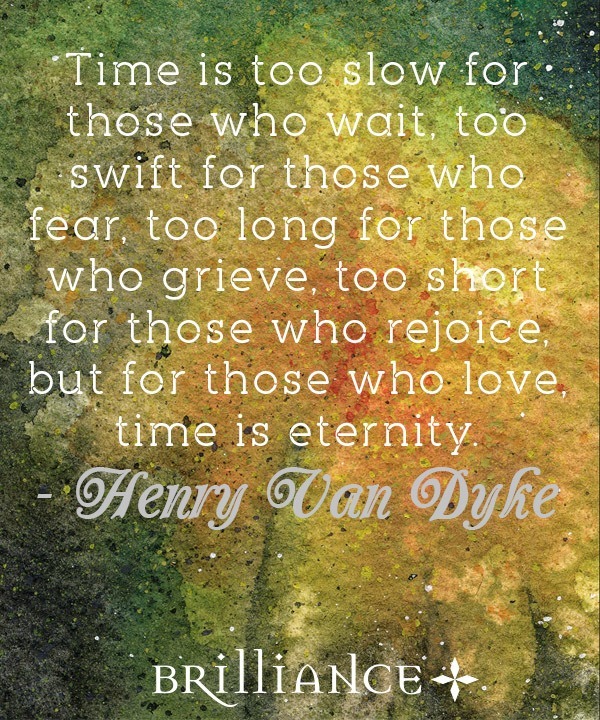 Does time stop when you are in love? Apparently, noted clergyman Henry Van Dyke thought it does, too. 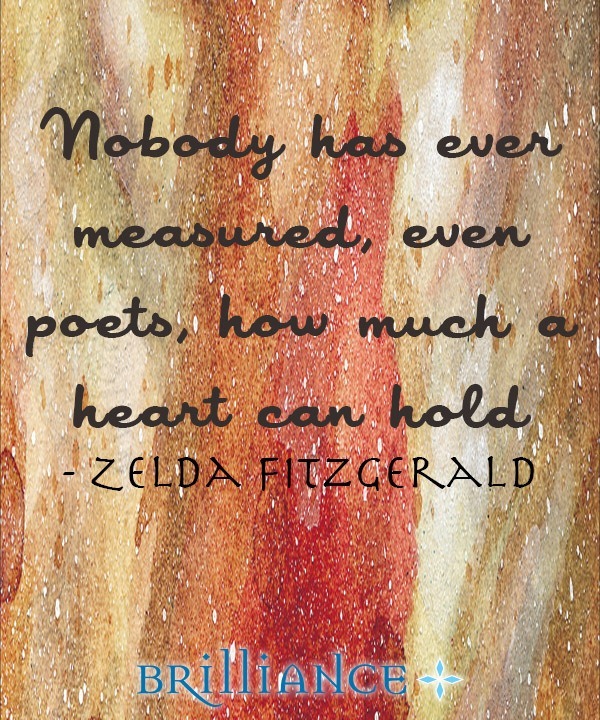 On the other hand, F. Scott Fitzgerald’s wife Zelda regarded the feeling as something that cannot be properly measured nor described…apparently not even by those whose job is to find words to do precisely that. 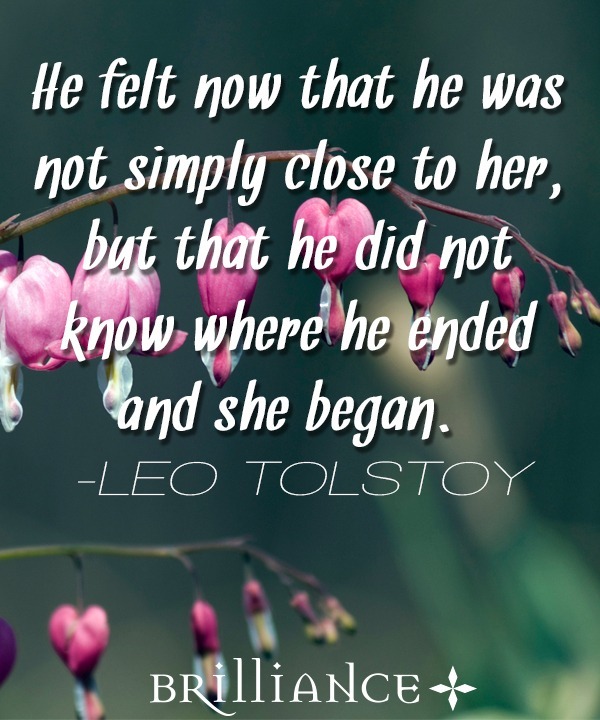 Then there is the Russian novelist Leo Tolstoy, who thought that, while love might be a tad confusing, it’s still a nice, welcome kind of confusion, anyway. Actress and comedienne Rita Rudner turns to humor to sketch what being married or getting into a long-term relationship is all about (and you would have to agree that it is hilariously spot on!). 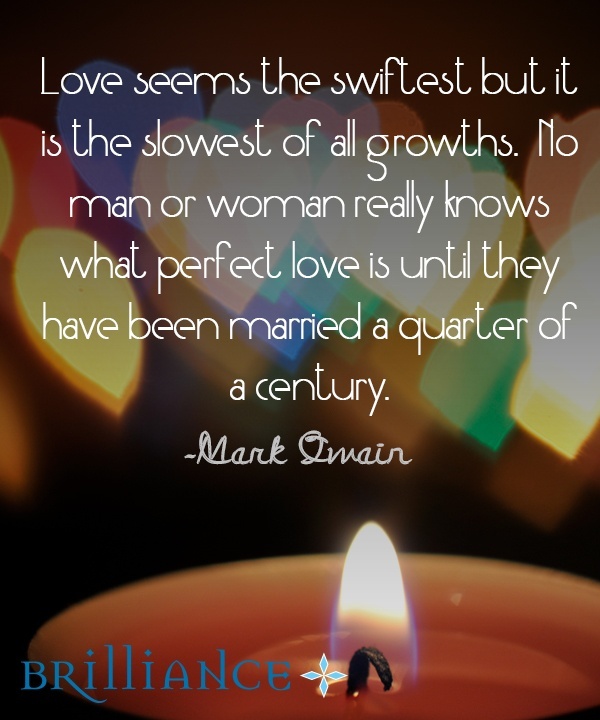 One would expect humorist Mark Twain to consistently use acerbic wit to peg things in life, but he did have his share of mellow, sobering thoughts on what love is and how it should be for married people. 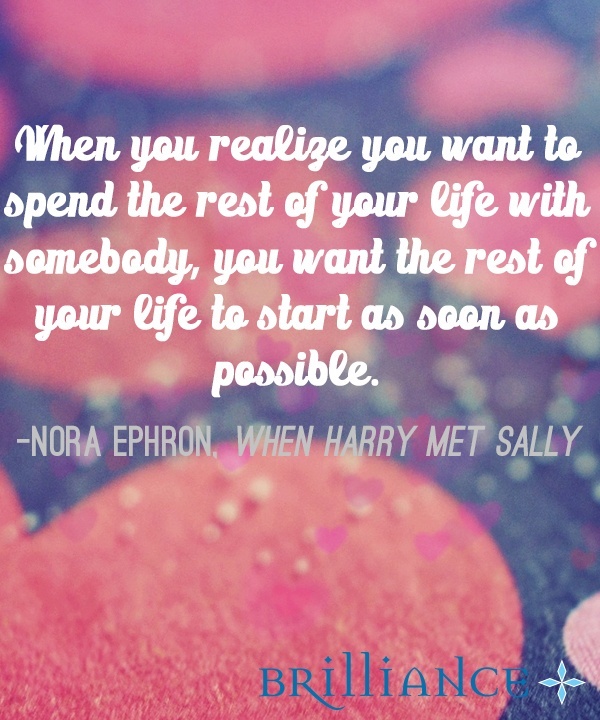 And yes, cinematic quotes about love can prove to be some of the most quotable. In that famous scene from When Harry Met Sally, screenwriter gave Harry Burns (Billy Crystal) the chance to define how he felt about Sally Albright (Meg Ryan) in a blundering, yet ultimately endearing way.